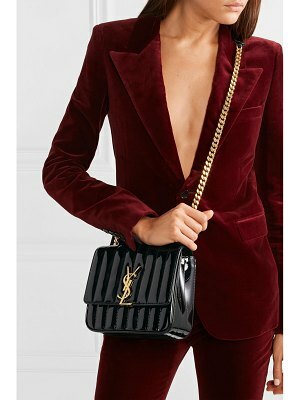 Saint Laurent's claret 'Vicky' bag is one of the styles hanging off Kaia Gerber's arm in the new #YSL15 campaign - it marks Anthony Vaccarello's 15th for the house. 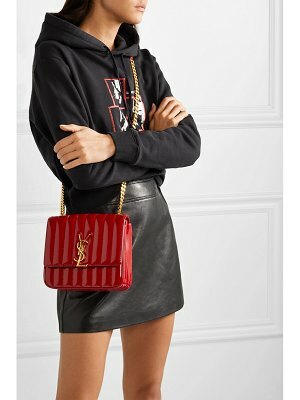 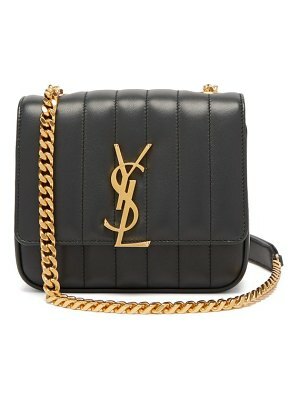 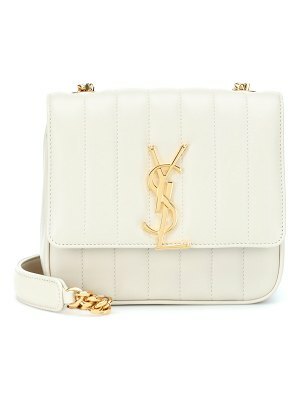 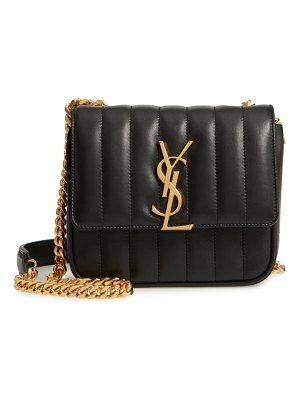 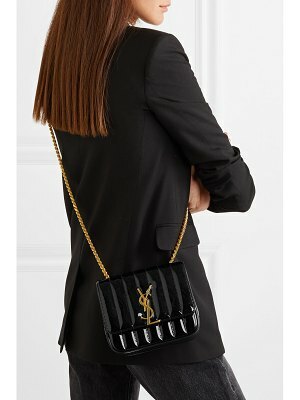 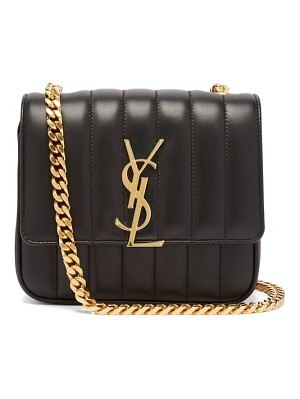 Made in Italy from shiny patent-leather, this quilted accessory is decorated with the iconic 'YSL' plaque in gold to match the sliding chain strap. 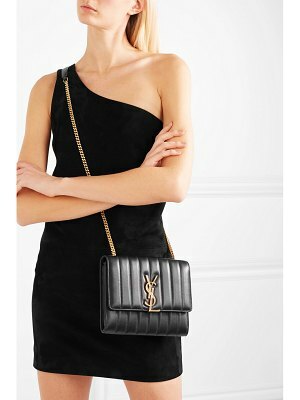 It also has a discreet slip pocket at the back.